See scan - perfect condition for this extremely rare Bulgarian Royal badge set / group. 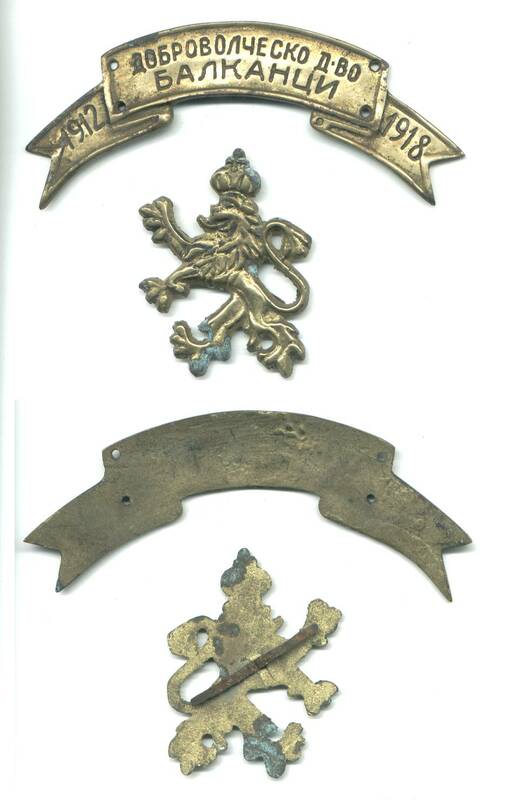 This is the special award WWI cap banner type and lion badges set that belonged to a member of the mercinary SoF like legion that thought alongside with the Bulgarian Royal Army during the Balkan Wars with Turkey, as well as during WWI with Serbia, Russia, France, etc. The text on top of the banner badge says VOLUNTEER UNIT BALKANS. Scarce militaria group and item Vicmart has for the 1st time for sale. True collector group.